George Ellis is a renowned Australian conductor, composer and arranger whose has forged a 35-year career by combining his years of classical training with his first true love, rock music. Throughout his teens George pursued his rock & roll passion, learning guitar and playing in bands that covered bands such as The Beatles, Rolling Stones and The Beach Boys. A solid musical foundation was formed to which George one day would unexpectedly return. MADCAP Global Productions & Entertainment is proud to announce its involvement with the filming of two new video clips for Philadelphia rapper/producer J Strong. A versatile and exciting rising talent on the hip hop scene, J Strong was recently signed to our independent label MADCAP Records Australia. At the end of this month, J Strong will be shooting on-site in Philly for two video clips to accompany two hot-track singles ‘PRIVATE’ and ‘NEW FLEX’ from his latest release ‘MOOD EP’ available now at MADCAP Records. From the bottom of the ghetto to the million dollars homes, from Gino to Jim’s Steaks – I love my city. MADCAP Records Australia has recently signed Philadelphia rapper J Strong to its ever-growing family of independent artists. J Strong brings with him a smooth and contemporary sound, producing modern hip hop embedded with a strong R&B sensibility. His production style has been called unique among his peers and elders in the hip hop scene, and has credits for tracks on labels from Def Jam to Arista. J Strong possesses a hip hop heritage that puts him in a rare pedigree as an artist, having grown up in the thick of the Philly street scene that saw him chilling with the likes of Will ‘Fresh Prince’ Smith and Jazzy Jeff.. Here we get to know a little more about J Strong as an artist and a person. MADCAP Records Australia is proud to welcome Philadelphia producer J Strong to our growing family of independent artists. J Strong is an up-and-coming producer and vocalist who has already made an impact with his 2016 track ‘Pop A Perc’, which went viral in just 24 hours and caught the attention of some of the biggest names in hip hop. The 2017 ARIA Awards were held at Sydney Star Event Centre (Tue 28 Nov), capping off an extraordinary year for the Australian music industry and showcasing the talent and diversity of this year’s nominees. Big winners for the evening were Gang Of Youths, who took out three awards for Album Of The Year, Best Group and Best Rock Album, cementing them as one of the country’s top rock acts. True blue Aussie singer-songwriter Paul Kelly earned himself two ARIAs, winning Best Male Artist and Best Adult Contemporary Album for his ‘Life Is Fine’ record. Paul also did a live rendition of his classic ‘Dumb Things’ accompanied by nominee Dan Sultan and hip hop duo AB Original, who pieced up the Best Independent Release and Best Urban Release for their ‘Reclaim Australia’ album. The MADCAP Global Productions Group was established in 1995 by Managing Director Stephen Morris, a man whose life and interests are as diverse as the multi-faceted company he created that’s still growing and stronger than ever. Stephen was born in 1964 into a working-class family in the Welsh town of Port Talbot, renowned for its hulking steelworks. In 1969, his family immigrated to Australia when Stephen was just four years old. 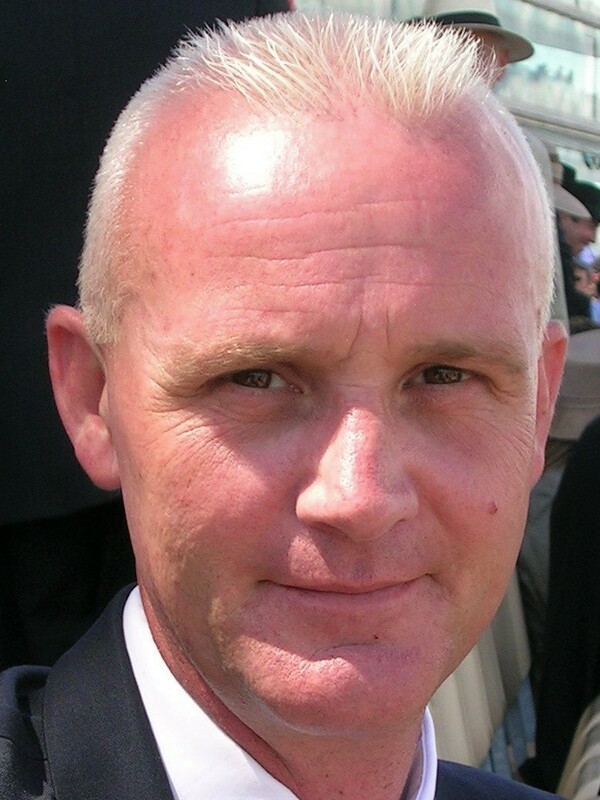 For over 20 years, Stephen has built the MADCAP Global business into a developing brand with an extensive service network that includes commodity trading, import/export of woven packaging & geo-textiles, farming and agricultural products, port based logistics & warehousing, delivering business and IT solutions. The company also creates audio and visual productions that includes the producing, promoting and distributing of music of independent artists. The dance gods have spoken, finally bestowing upon us the long awaited, new studio album from PNAU entitled ‘Changa’. There’s been plenty of buzz around the latest release from one of Australia’s most iconic and prevalent forces in electronic music, with many speculating wildly about when PNAU would finally present new material. 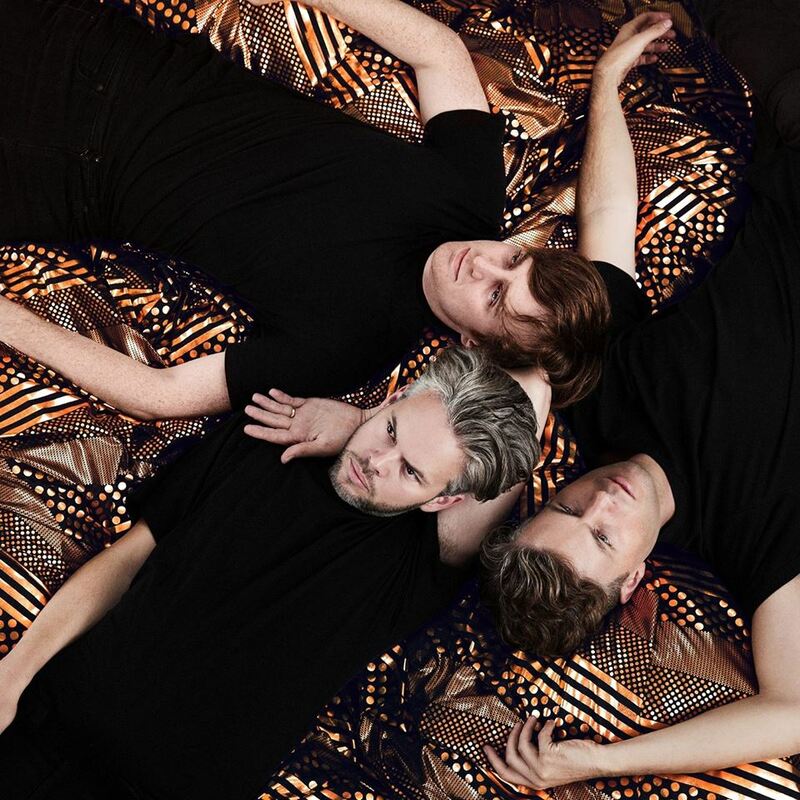 PNAU co-founder, guitarist and producer Peter Mayes says the extended gestation period for ‘Changa’ means anticipation among the band has also been high in the lead-up to its release. “It’s been a while in the studio making the album, but it’s just great to get it out because there’s always a big period of waiting,” Peter says. This year, Hydrofunk Records celebrates their 20th anniversary, making them the longest-running, independent hip hop record label in the country. Hydrofunk Records was established in 1995 by Andrew ‘DJ Katch’ Garvie and Dave Atkins of prodigious Brisbane group Resin Dogs. Andrew explains how the label began as a way to short-circuit the mainstream recording and distribution channels to release their own music. “The vision was originally that we couldn’t get a record deal so we just put our own stuff out,” Andrew says. Tracey Guile is a woman who knows what it takes to be a champion. The Brisbane-based bodybuilder and fitness professional was recently named World Beauty Fitness & Fashion (WBFF) Figure Pro at the 2017 championships. For Tracey, it is the payoff from a lifelong passion for maintaining a strong body and mind. “I have been involved in the health and fitness industry from when I was a kid and I played lots of sport,” Tracey says. This November will see the release of the highly-anticipated third album from Noel Gallagher’s High Flying Birds. Entitled ‘Who Built The Moon’, it is the result of a two-year creative collaboration with renowned DJ and composer David Holmes and represents a marked alteration in the course Noel Gallagher’s songwriting. After signing Brisbane heavy rock act MERGATROYD earlier this year, it is with great pleasure MADCAP Records can announce the band’s new EP ‘Splitting Hemispheres’ will be released on 13 October. MERGATROYD will unveil the new single from ‘Splitting Hemispheres’ on Brisbane radio station 4ZZZ on 10 September. Brisbane heavy rock act MERGATROYD have unveiled the artwork for their upcoming EP, ‘Splitting Hemispheres’. MERGATROYD signed to MADCAP Records earlier this year and the anticipation is high for this release. ‘Splitting Hemispheres’ sees MERGATROYD really come into their own as an original heavy rock band, having solidified their line-up and further developed their own signature style. Hay You, MADCAP Bale Net Is On A Roll. Positive product feedback and sales are coming in for our, Green, Edge to Edge Round Bale Net in sizes: 1.23 x 2100 and 1.23 x 3100 Contact: agribusiness@madcapglobal.com for best pricing on your next requirement. That’s A Wrap, With MADCAP Pallet Net. If it’s White, Stretch Pallet Net you want, MADCAP Agri-Business has you covered. New stock has just arrived of our 3kg Manual-Handled, and 6900-metre Machine-Mounted Rolls – both are now available for sale. Contact one of our friendly staff members on agribusiness@madcapglobal.com for a quote on your next requirement. MADCAP Bale Net Takes It To The Edge. If it’s Edge-to-Edge, Round Bale Net you want, MADCAP Agri-Business has you covered. New stock has just arrived. Our green 1.23 x 2100 & 3100-metre Rolls will keep your hard-worked crop looking great for sale. Contact one of our friendly staff members on agribusiness@madcapglobal.com for a quote on your next requirement. We now supply LLDPE Stretch Film Plastic for Machine-Mounted and Manual-Handled users. Email our friendly staff on agribusiness@madcapglobal.com with your next requirements for great pricing. We supply Australia-wide. Something new for our Agri-Business friends: Silage Wrap Film Plastic. Email our friendly team on agribusiness@madcapglobal.com for more details and great deals. We supply Australia-wide. American cereal crops looking good from the air, however with little rain falls to assist farmers the domestic market will once again turn to imports to meet market demands. Contact MADCAP for your cereal and pulse crop requirements; FCL & Loose Bulk Shipments available. Email: commodities@madcapglobal.com for your next quote. That’s a wrap! Our new Edge-To-Edge Bale Net – doing the job and making your valuable Hay, Lucin or Chaff look great for market. Available in blue and white, or green. Rolls can be supplied in either 2100 Mtr or 3100 Mtr rolls and are suitable for use on almost all baling machines. We supply full pallet quantities only. Are you paying too much for yours? email agribusiness@madcapglobal.com for a quote today. Container Liners: Built-Tough, our liners are reinforced and if required water-tight. Manufactured for the hardest loading conditions. We custom manufacture container liners for both 20 Ft & 40 Ft Containers, and we can also produce fully enclosed liners with roof entry spouts for filling, as traditionally used in the grain export markets. Contact: agribusiness@madcapglobal.com for a quote on your business requirements. Is your fresh produce secured with quality stretch Pallet Net? As you can see, our product will wrap your produce tightly, ensuring your valuable orders will get to market looking as good as when they left the farm! Don’t pay too much. Contact agribusiness@madcapglobal.com to order yours. There are 240 rolls per pallet 500mm x 500 Mtr & VU treaded. Roll Colour White. We are pleased announce another new product to our ever-growing product range. You can now order your clear, Shrink Wrap Film Plastic, with a thickness of 10 um/micron. Roll Size: 440mm Width x 400 Meter length with 50mm cardboard core centre and an average roll weight of 1.64 Kgs. There are 240 rolls per pallet. Please note: We only supply in full pallet quantities. Contact us via email: agribusiness@madcapglobal.com for more details or simply give us a call. Good rains around, Queensland has the telephone ringing for dry & custom chemical blend fertiliser. Have you ordered yours ? Don’t pay too much! MADCAP Agri-Business supplies in Loose Bulk & 1 Mt Non-Returnable Bulk Bags. Contact agribusiness@madcapglobal.com for your quote.